Squash of all types are flooding farmers’ markets now, creating festive and colorful displays pleasing to the eye. Not only are squash oddly delightful to admire by sight, they’re also satisfyingly buttery and sweet to the palate, in addition to being nutritious sources of beta-carotenes and other vital nutrients. From pumpkins and spaghetti squash to acorns and butternuts, there are a variety of ways to integrate squash into your fall and winter meals. Among them is with this unique and flavorful soup recipe from the lovely Rancho La Puerta. Whether you’re cooking for your family or for a dinner party, this incredibly simple and seasonal recipe will wow your guests and you’ll likely impress yourself with it too. In a 4-quart saucepan, heat the olive oil over medium heat. Add the squash, apple, leeks, carrot, celery, and basil and cook, stirring often, until the vegetables are softened; do not brown. Add the curry paste and cook, stirring constantly, for 1 minute. Add the stock, water, brown sugar, and salt. Reduce the heat to medium-low and simmer for 45 minutes, or until the vegetables are very soft. Reheat and taste for seasoning, adding salt if needed. Serve very hot, with a sprinkling of chives and the orange and zest, if desired. 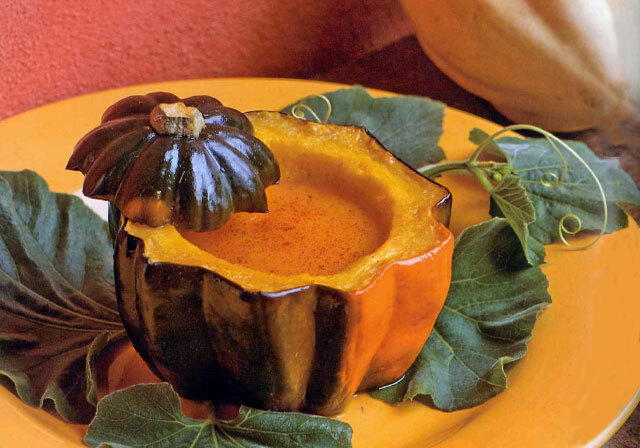 Variation: To prepare squash bowls, choose small acorn squash or pumpkins no more than 6 inches in diameter. Scrub the squash in cold water. Cut off the top quarter of the squash—saving it to use as a lid—and a small slice from the bottom, so the squash sits flat without wobbling. (With the harder varieties, you may need to use a saw.) Scoop out the insides to create a cavity large enough to hold 8 ounces of soup. Brush inside and out with oil and bake for 15 minutes at 400°F, until shiny and lightly browned but still firm. Use within 24 hours. Note: Thai red curry paste tastes nothing like Indian curry. 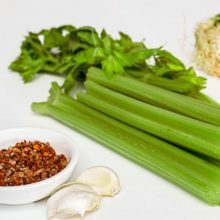 Sold in small jars, the paste is pungent and quite spicy, and it will last months in the refrigerator.